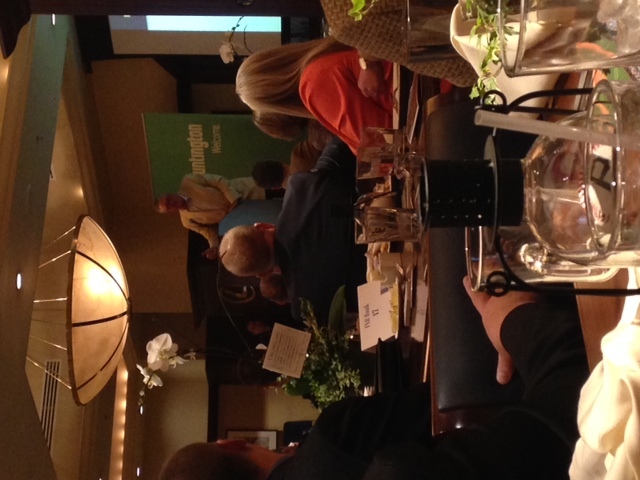 Clint Hurdle, the Pittsburgh Pirates manager, speaks to the crowd after accepting the Inspirational Leadership Award. On Tuesday, May 6 at PNC Park the Northside Northshore Chamber of Commerce held its 2014 Business Awards Luncheon to recognize local businesses and individuals that are committed to revitalizing the Northside. Nominees for each category were selected by a committee and winners were voted on by members of the NSNSCC. The categories and winners are as follows: Most Visible Professional- John Gross from Business Records Management; Non-Profit Chamber Community Champion- NorthShore Community Alliance; Large Business Chamber Community Champion- Business Records Management; Small Business Chamber Community Champion- Penn Brewery; Salesperson of the Year- Wayne Alling from Alling Agency, Nationwide Insurance; Banker of the Year- Gloria Wainwright from First National Bank; and Best New Program or Idea Promoting the Northside- Nothside Leadership Conference with Northside Sandwich Week. The guest speaker for the event, Pittsburgh Pirates Manager Clint Hurdle, was also the recipient for the Inspirational Leadership Award. The Master of Ceremonies for the event was Bob Pompeani, the sports director for KDKA.